Three: is a star in the Twitterverse! So don’t ask me how it’s made! That the ed’tors take it out! And if it’s dial., vulg. or obs.! Even when they all agree! (No one half as wise as Moses). 2nd time (as perusal soon discloses). Sorted out from A to Z! Learn the codes that here ensconce words. Catachresis, nouns and nonce words! Sorting out from A to Z! As I explained in my talk, I used this assignment in an English grammar class, but I suspect that one could adapt it for other kinds of classes, such as a class on basic linguistics or lexicography. We have also continued the long process of removing artifacts of its print origins from the Dictionary, in favor of data that is more amenable to being searched and manipulated by computer. We are expanding some of the implicit and contracted spellings given in the print MED, thereby exposing them to search; and we are completing a nearly comprehensive map of MED to OED lemmas and sub-lemmas, thereby facilitating not only a seamless link to the corresponding OED entry but potentially also a lookup search of the MED itself by modern English equivalent (mostly to be identified with the OED headword). Our larger goal is to transform the MED from an essentially static resource to an essentially dynamic one, in two respects, editorially, adding the ability to accept, store, and publish additions and corrections; and technically, preparing for the migration of the Dictionary and Compendium data to new platforms (to avoid technical obsolescence) and new functionality, which will allow the data to be opened up for reuse by other products and projects, thus fulfilling the vision that we always had for the MEC as a node in a network of historical dictionaries, electronic editions, text portals, and other linguistic resources. mailto:pfs@umich.edu Paul Schaffner (P.I. ); John Latta (editor); Mona Logarbo (editor); Robert E. Lewis (MED chief editor emeritus; volunteer editor). I am still sad about how things worked out; I really was invested in the new English books and liked working on them. But then again, I guess I’m sad about all that’s happened in (or to) the dictionary firmament. Somehow I am indignant or regretful when I consult an online dictionary. (Who wrote this thing? I ask.) For all one knows, looking at the truncated lines of print, the shabby pronunciation keys, the want of explanatory citation that could so expand the minimal definitions, that’s all there is to language, just a few little phrasal descriptions of one word. A language of just one word, the one in front of you. Even the lists of other, related words, don’t suggest the scope of a language as a bookdictionary does. At the least, if the user is looking in a smallish dictionary with just say 30,000 words, it’s clear there are a lot of words encased between those two covers, and if it’s a larger dictionary, there are more words. A book suggests size, heft and breadth of a vocabulary—who’d have thought there were so many words? And then there’s also the thought in a print dictionary that someone actually wrote down, using a pen and paper, those definitions that explain a word’s meaning. And then one can wonder, well, how many of those definitions did that someone write? Ten thousand? One hundred thousand? Five hundred? Did that person actually go from A to Z? And what about all those people from the preelectronic era who set those dictionaries into type, people who knew picas and halfspaces and secondary accents as well as most of us know periods—in trays of backwards letters, one after another—by hand and then by linotype machine, all those sheets of blank paper racing through a highspeed printer to pages, the stacks of uncut folios sliced into pages, finally sewn and bound, a book with covers enclosing text, a singular product of people and merciless, ingenious, noisy machines? What about the linotype operators who would spot something amiss on a page, query it for their rough proofreader who would mark the proof for the editor? Does the contemporary dictionary person have the same feeling of connection to the way penandpaper became the final product? I do know something about electronic dictionary editing: You type your changes or new entries on a keyboard and, miraculously, they appear on the screen (almost) like typeset entries; you are inclined to think they must be correct or good enough, they are “in print”; you move onto the next and the next entry; you become very efficient, especially if you are lucky enough to have a good program to work in, and the fact is that there most likely isn’t much editorial oversight of your work that might improve the quality of your output for the simple reason that you are the firstdraft writer, the editor, editorinchief, proofreader, typesetter and stylist, one person at one computer, an island. You are not a discerning or gifted editor, you are simply a cog, and all those hours of keyboarding are a blur, not a book, simply a product. So, what have I learned during the years between my first “job” at Clarence L. Barnhart and my later life as an unemployed dictionary person? A lot. A lot about dictionary making, about language; a lot about business and its essentially irrational nature; a lot about the friends one unexpectedly discovers along the way; a lot about family relations and disintegration; a lot about the obligations integral to the role of legatee; much about the fragility of human relationships; and gratefully, even more about how tentative our grasp on things that matter most to us and how important my children’s support (and tolerance) have been throughout. I have also found that writing a memoir helps get a perspective on events so charged, at times it seems as if there will never be any way to moderate the outsized emotion. It probably helps that I still believe what we did had value. Now that enough time has passed for me to think about our story with a little dispassion, I have finally come to realize I have found something like a perspective on the dysfunctional relationships between Rob, Clarence and Rob’s brother, David; I understand the dictionaries Rob wrote, even though they were very much the result of his own editorial vision, could not have happened without the work of his father, first with Thorndike, then as an independent dictionary maker; I accept that there was probably no way the three Barnhart men could ever fit comfortably in one room or in one business; and I am warmed by the reflected glow from the Barnhart contribution to the art of making dictionaries. Not incidentally, Rob and I had a really great time making dictionaries, making a family, making plans. Perhaps the message of the Barnhart story is that the angle of a trajectory is ultimately in the eye of the beholder. Bryan A. Garner earned his undergraduate and law degrees from The University of Texas at Austin, the latter in 1984. Bryan’s undergraduate senior thesis was on aspects of Shakespeare’s usage, revealing an interest in English usage that later manifested itself in his many published books. Anyone who has followed Bryan’s career or examined his work will know that he’s an advocate of clear and straightforward written expression. The fourth edition of Garner’s Modern English Usage introduced ratios, based on big data, showing the relative frequency of standard and variant forms of a given usage—a real innovation in lexicography. He’s received many accolades for this and his other works. We are privileged to talk with Bryan about his vast collection of books, which, according to a 2015 Dallas Morning News article, comprises some 44,000 volumes. Many of those are dictionaries and grammars that have contributed to our knowledge of the English language’s history—some harking back to the 15th century. Vancil: Bryan, like you, I am an alumnus of The University of Texas. As a grad student, I met several eminent bibliographers who influenced me to become a rare-book librarian and a student of early books. Did you have any similar experiences? Garner: I certainly had professors who influenced me toward bibliomania—especially the late John W. Velz of the English Department. He supervised my 150-page senior thesis on “Shakespeare’s Latinate Diction,” and he got me started in my researches at the Harry Ransom Center. Soon I learned more about Harry Ransom himself, and I knew that I wanted to follow in his footsteps—as a book-collector, at least, and perhaps as a scholar as well. Vancil: How many of your books would you say pertain to lexicography or allied fields, including usage? Garner: Probably 8,000, if we construe “allied fields” broadly to include linguistics. But if the phrase is construed most broadly, all of them “pertain to lexicography” in the sense that I might draw on any of them for illustrative quotations. Black’s Law Dictionary contains lengthy quotations from more than 980 sources, and some of the quotations extend to more than 150 words. I don’t simply illustrate a word’s use in a sentence but instead actually quote expert legal commentators on some aspect of legal usage. As far as I know, my use of quotations in Black’s is something of an innovation in lexicography. Two major publishers gave me carte blanche to quote as extensively as I wished from all their law-related books—thereby relieving me of any copyright difficulties. So all my 25,000 or so law-related books come frequently into play with my lexicography. Vancil: Speaking of innovations in lexicography, can you tell us a little about your use of ngrams in the fourth edition of Garner’s Modern English Usage? What inspired you to use big data that way, and how did it affect the way you prepared the new edition? Garner: With big data, we can now make more-surefooted pronouncements about predominant vs. secondary usages—and to what extent the competing forms actually appear in print. I show these as ratios in some 2,500 entries. Hence it’s not just an “armchair grammarian’s preference” to say that between you and me predominates over between you and I in print sources by a ratio of 16:1, or that interpretive predominates over interpretative by a ratio of 2:1. To a usage lexicographer (which is what I am in GMEU), this information is truly revolutionary. Vancil: Were there any usages for which the ngram data really surprised you? Garner: Dozens. How about data itself? These data are still predominates over this data is by a 2:1 ratio, but the gap has been steadily closing since about 1990. Vancil: Are there any areas you have steered clear of in dictionary-collecting? Conversely, what areas do you focus on in building your collection? Garner: I avoid polyglot dictionaries—in fact, I recently sold 550 of them (16th–19th century books) at an auction in London. I concentrate on English-language dictionaries and grammars. Vancil: Is there a particular book that has eluded you? Garner: Yes. But I stay quiet about the ones I’m stealthily on the lookout for! Vancil: Is the 1491 Vocabularium Iuris still your prized possession? Or is there some other recent acquisition you’d like to tout? Garner: Although I have two first editions of Johnson’s Dictionary (1755), and all of the folio editions, I especially prize the first edition that was owned by the G&C Merriam Co. in the 1930s. It has a buckram binding matching that of Webster’s Second New International Dictionary. In other words, G&C Merriam Co. had its own binders rebind the huge two-volume work sometime in the 1930s. Volume 1 has the company’s bookplate inside. I consider the set priceless. Vancil: Do you allow researchers to make use of your collection? Garner: Only my own staff of nine—or the occasional lexicographer friend who is passing through Dallas. Vancil: Thank you, Bryan, for sharing your love of books with us. Garner: Thank you for listening to my bibliomaniacal babblings! The latest news includes information about our Publications Committee (PubCom), two Society awards, a gift the Society has recently made, and the dates of our 2019 conference. In general we oversee the information channels of the Society – the journal, the newsletter, and the website. We advise on books to review and suggest reviewers, we make decisions about the physical journal (we chose new paper a while back, and now we’re finishing up a redesign). This year the big push will be to complete the process of moving the newsletter online and migrating the old blog to a new site, with an attendant redesign. We make recommendations to the Executive Board for areas in which they need to have the final say. There is an open question as to whether “publications” should extend to “communications” more broadly – i.e., social media – because as the newsletter becomes a digital product the activity of communicating with members is migrating more to the Web. This will be a good discussion to take up with the new Executive Board, especially given the expertise of Kory and Brianne. Luanne Schneidemesser, as outgoing President, and Rebecca Shapiro, as outgoing Executive Secretary, are leaving the committee as are Lise Winer and Michael Adams. We are grateful for their service. 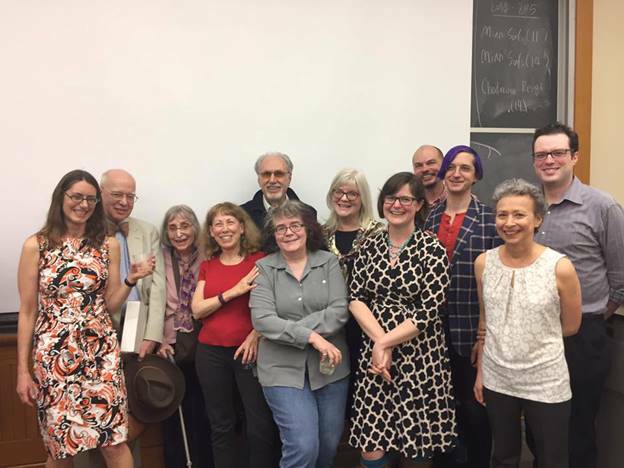 Members who will remain are Ed Finegan, editor of the Journal, Wendi Nichols who heads the committee, Elizabeth Knowles, our Vice President, Janet DeCesaris, Michael Hancher, and David Jost, Newsletter Editor. “Because staff sizes are a fraction of what they used to be, [Emily] has very quickly learned many skills that are an asset to the department. 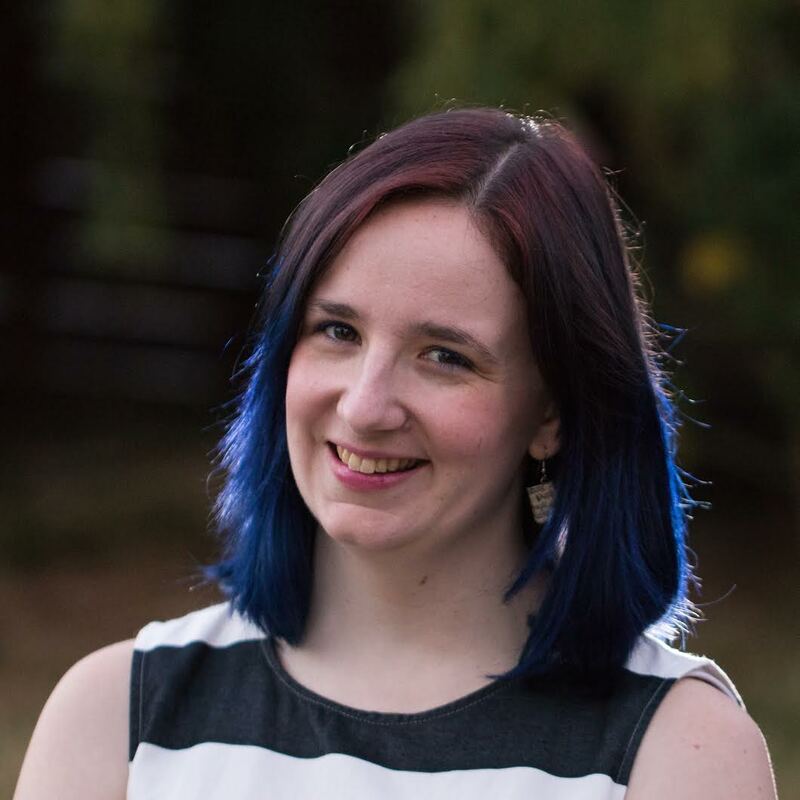 She has worked not only on our flagship product, the American Heritage Dictionary of the English Language, but also many of our other titles and is currently the project manager for the new edition of our First Dictionary. “Emily has learned well from existing staff members but she has also taken it upon herself to seek out additional information on her own time and has become an indispensable staff member. She’s also immersed herself in the production aspect of print projects by learning software like InDesign, which allows her as an editorial member to make editorial decisions while paging a book, which saves a step as compared to editorial needing to address queries flagged by production when they page books. Michael Adams has proposed that we donate $2500 to the Cordell Collection as part of Indiana State University’s sesquicentennial; both Luanne and Steve agreed this was a worthwhile investment. DSNA and the Cordell Collection at the ISU library are intertwined: they are housing the DSNA archives in their Collection; members have used the Collection for years, some receiving a fellowship to do research there; we’ve reported in the newsletter about the Collection; and in 2009 the library bused the whole conference to Terre Haute, gave us tours, a reception, and dinner. The 2019 conference will be in BLOOMINGTON IN (not Indianapolis), May 8-11 2019. Up to now the only regional meetings have been those of MetroLex. I plan to organize an event in New England next year and I hope those of you in other parts of the country and abroad will do the same. 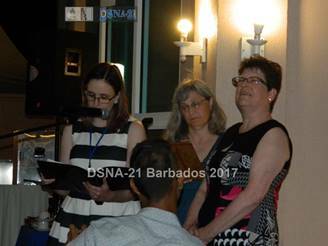 The Conference in Barbados reminded me once again how fine it is to see people in person and two years is just too long to wait. David Vancil, a longtime contributor to the DSNA newsletter and former curator of the Cordell Collection of Dictionaries, has published in many fields touching on collections held in the library of Indiana State University. Included in this bibliography are two books he compiled relating to the history of lexicography and four monographs bringing together many of his published poems. Catalog of Dictionaries, Word Books, and Philological Texts, 1440-1900: Inventory of the Cordell Collection of Dictionaries, Indiana State University. Westport, CT: Greenwood Press, 1993. 397 pp. Incunable Dictionaries: A Checklist and Publishing History. Kevin Jett, editorial assistant. Terre Haute, IN: Friends of the Cunningham Memorial Library, 1994. 223 pp. The Art School Baby. Terre Haute, IN: Hawkhead Press, 1992. 30 pp. The Homesick Patrol. Woodridge, CT: Viet Nam Generation, Inc. & Burning Cities Press, 1995. 64 pp. Night Photo. Black River Falls, WI: Obscure Publications, 2008. 28 pp. Moon Walking. Georgetown, KY: Finishing Line Press, 2009. 24 pp. *The Lore section, which provides new images of the material culture record, belief systems, and Native art. *A succession of early maps of Long Island showing Indian towns. *Slate tablet from Dosoris Beach, Glen Cove, which is now realized to be a map of North Shore Nassau County, also showing their food sources. *The story of Cockenoe‑de‑Long Island, translator for Colonials and Natives. *The story of Samson Occom, teacher and preacher for the Montaukett B, the only Long Island indigenous to have his portrait painted. *A great amount of linguistic materials of Long Island and of Southern Connecticut. Susanna Janssen shares this information about her new book. book and say welcome to my wondrous world of words. that’s only a quarter of the chapters in this love affair with the lexicon! and write a newspaper column on words, language, culture and travel.